One of the nicest things about selling our fruit at the local farmer’s markets is that we get to meet and hang out with other farmers all Saturday morning. We’re all running around to keep up with customers and re-stock our produce displays and so on, but there’s always plenty of time to chat with your neighbours, and by the end of the season, we’re fast friends. 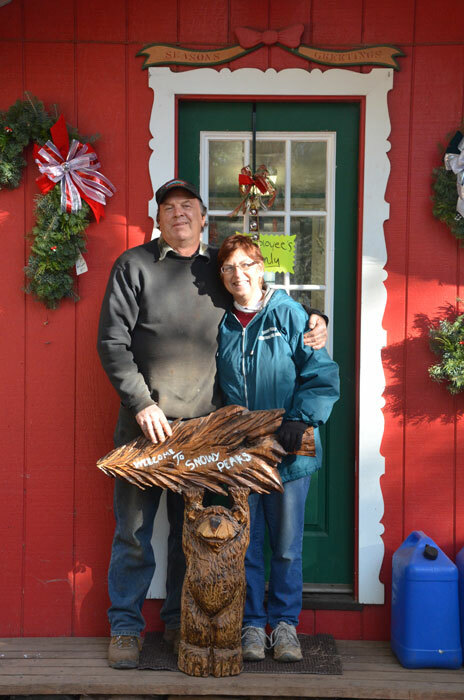 That’s how we met Jim and Ginger Armstrong, of Snowy Peaks Christmas Tree Farm in Foresthill. Nope, they’re not selling Christmas trees in August and September, when we’re at the market with pears — they also grow hydroponic strawberries and blueberries, as well as delicious New Mexico chilies, which they roast to order. When Jim fires up his gas-powered roaster and loads it with chilies, the smell is absolutely tantalizing! We always look forward to a spot next to their tent at the market, so we can bask in the aromas and chat and swap recipes with Ginger. But this time of year, there are no chilies and berries at Snowy Peaks…. it’s all about the trees! 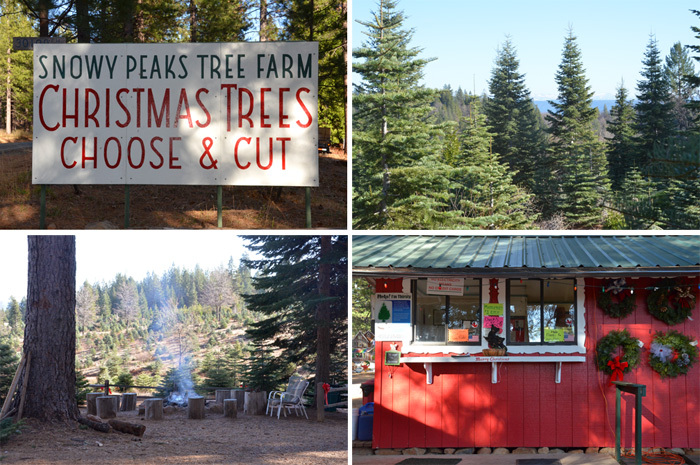 Clockwise from top left: A hand-painted sign greets visitors to the farm; a glimpse of Sierra snow through the firs; handmade wreaths decorate the office; the bonfire has a view of the farm and the forest beyond. 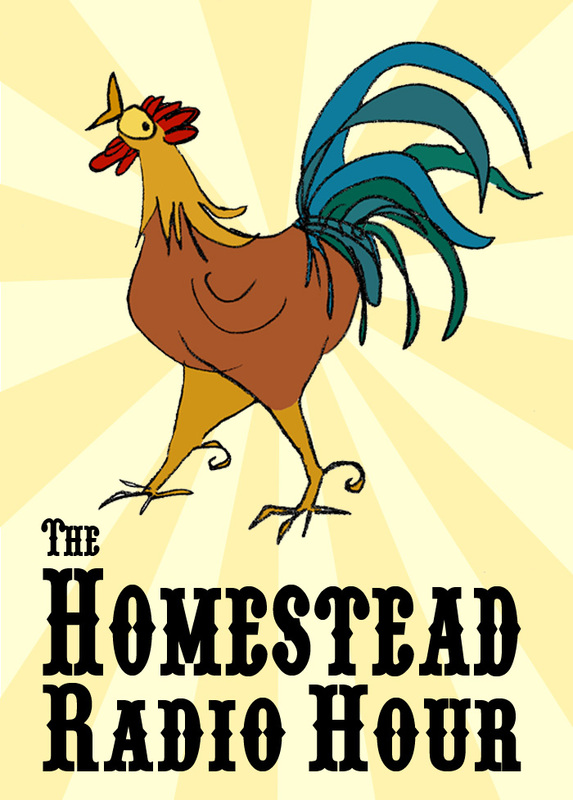 You may know that we — Phyllis and Julia — host a radio program, The Homestead Radio Hour, on KVMR FM in Nevada City. 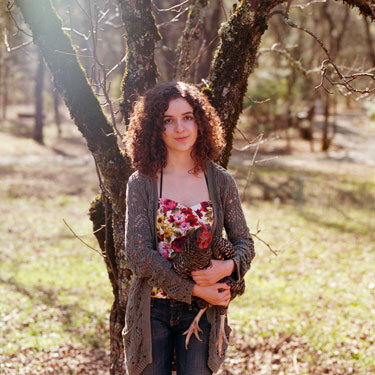 Each month, we focus on a particular topic, such as backyard chickens or beekeeping or composting, and bring in guests to discuss it with us. For our December episode, we settled on Handmade Homestead Holidays as our theme… and who better to talk to about homegrown Christmas traditions than Jim and Ginger? We’d all been wanting to take a trip up to their farm anyway, and this was the perfect occasion! Snowy Peaks Farm is just outside of Foresthill; it’s only a half-hour’s drive from Auburn, but it feels like you’re wonderfully far away from everything. No traffic, no noise, just trees and forest and beautiful Sierra vistas. 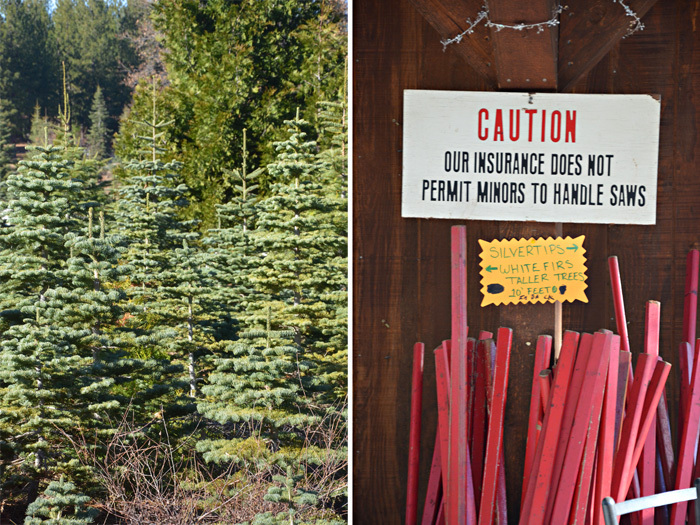 Jim and Ginger have been growing trees here for 14 years, and it’s plain to see that they love what they do — the office is painted a bright festive red and hung with wreaths, there’s a toasty bonfire glowing, and a hillside of carefully-tended firs stretches out of view. Their farm is the heart of many a family tradition; Ginger told us how they have some families, now into the third generation, who come back every year together to pick out a tree. We had a lovely time interviewing Ginger and Jim for the show, and it was especially interesting to hear their thoughts on the “green” aspect of real Christmas trees as opposed to artificial ones. It may seem counterintuitive that cutting down a tree is the better choice for the environment, but just think about the ecological impact of manufacturing plastic trees in China and then shipping them to the US. What happens when next year’s “new and improved” model comes out? How much space will those fake trees take up in a landfill? On the other hand, you have a deliciously fragrant, natural, biodegradable tree, grown by local people on a local farm. Jim pointed out that Christmas trees are much like any other crop; you plant, harvest and replant, taking care of the land and the soil as you do so. The money stays in the local economy, and the land is kept open, unpaved, and undeveloped. 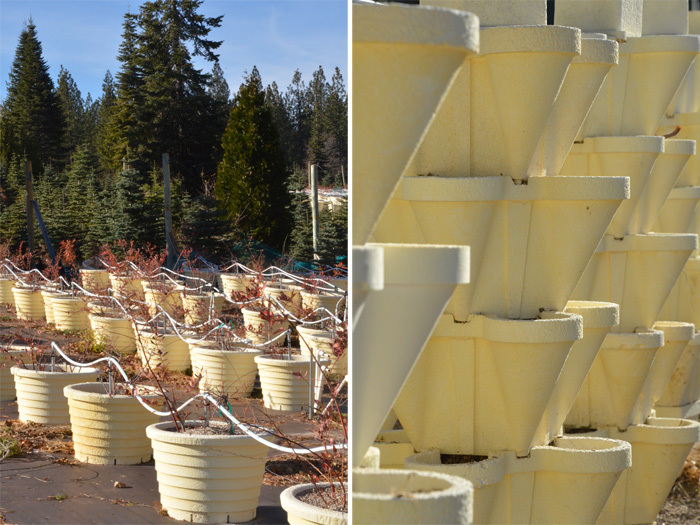 Hydroponic blueberries grow in large pots; strawberries and chilies grow in smaller, vertically-stacked planters. Our thanks to Jim and Ginger for talking with us and showing us around their beautiful farm! You can see more of what they do, and check their seasons and hours, on their web site: www.snowypeaksfarm.com.